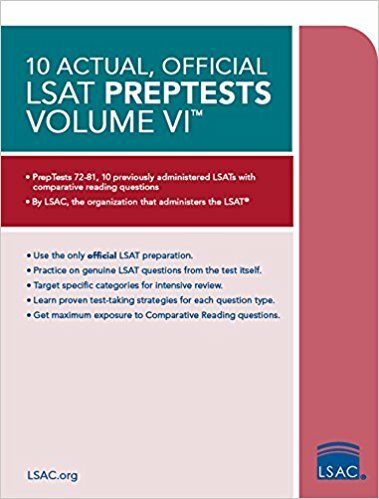 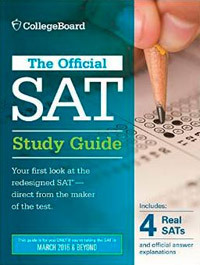 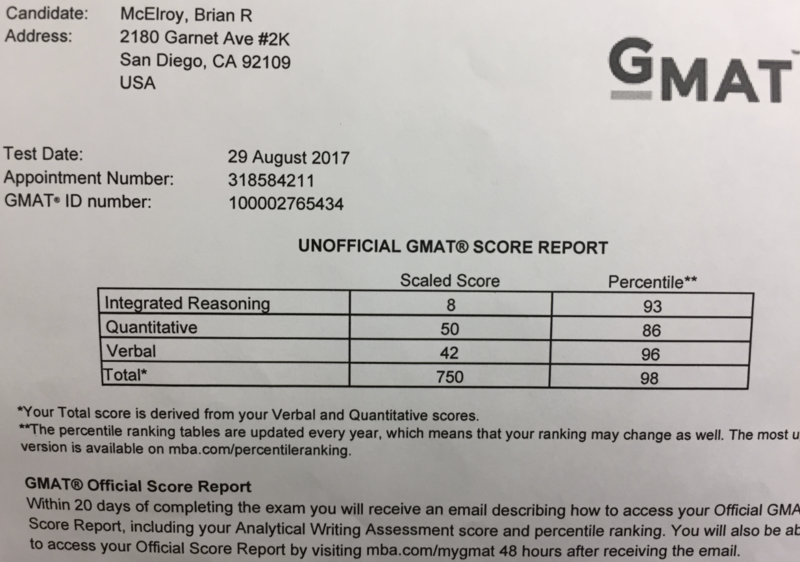 I scored a 750 on the GMAT (with the "Select Section Order" feature). 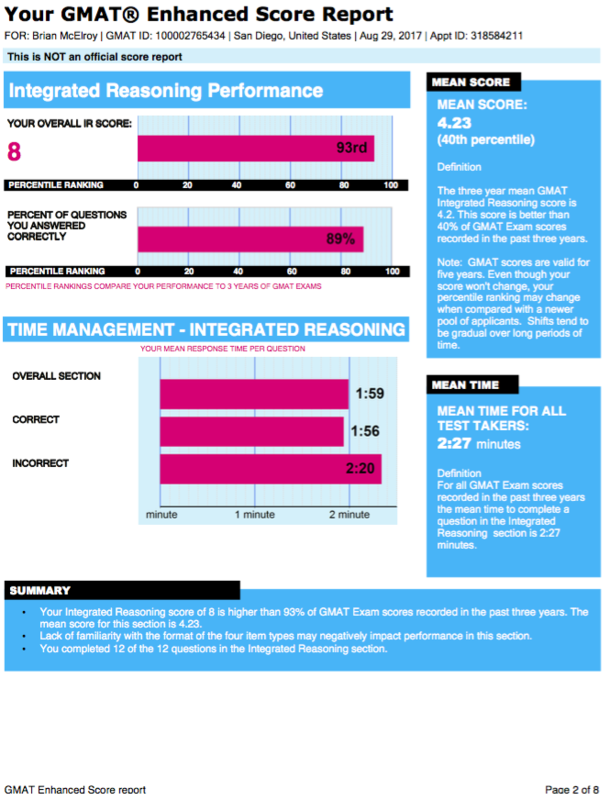 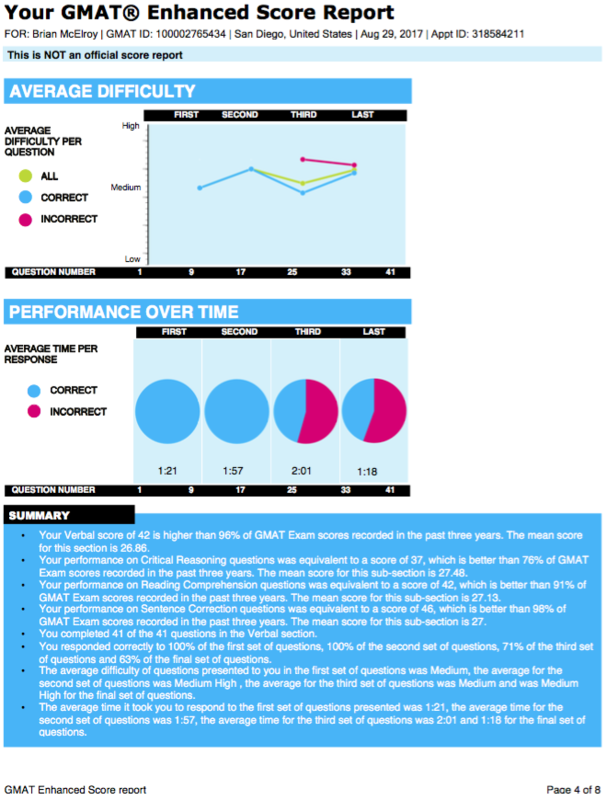 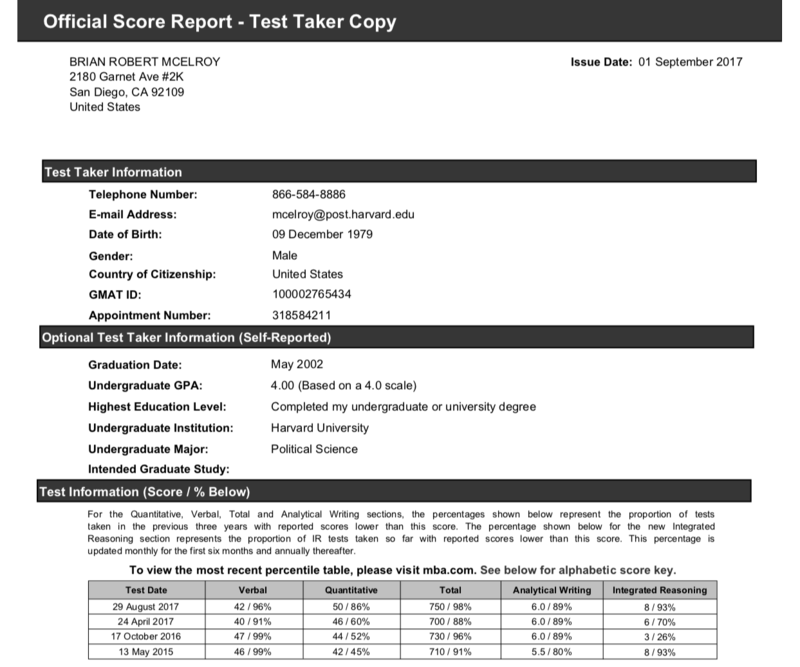 The quest for a perfect 800 continues, but I'm happy with my most recent GMAT score: I scored a 750 composite (98%), with 50/51 on Quant (86%), 42/51 on Verbal (96%), a perfect 8/8 on Integrated Reasoning (93%) and a perfect 6/6 on the essay. 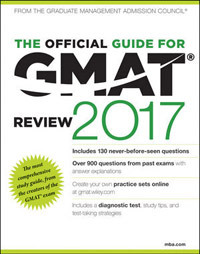 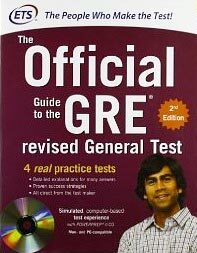 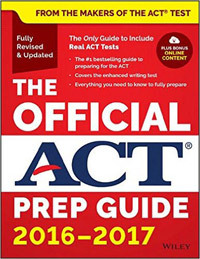 I can teach you how to get a great GMAT score, too! 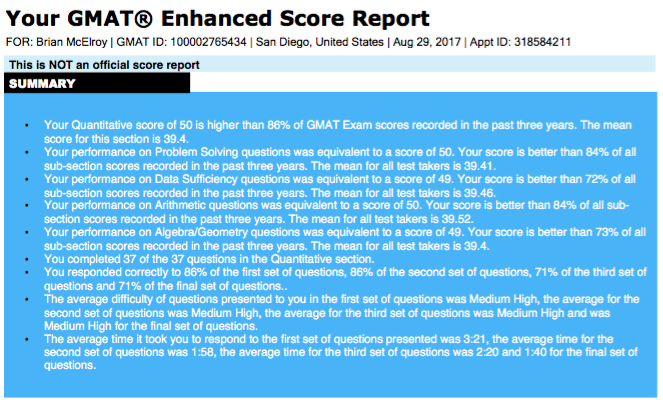 I took advantage of the GMAT's new "Select Section Order" feature and chose 1) Verbal 2) Quant 3) IR and 4) AWA as the order of my sections. 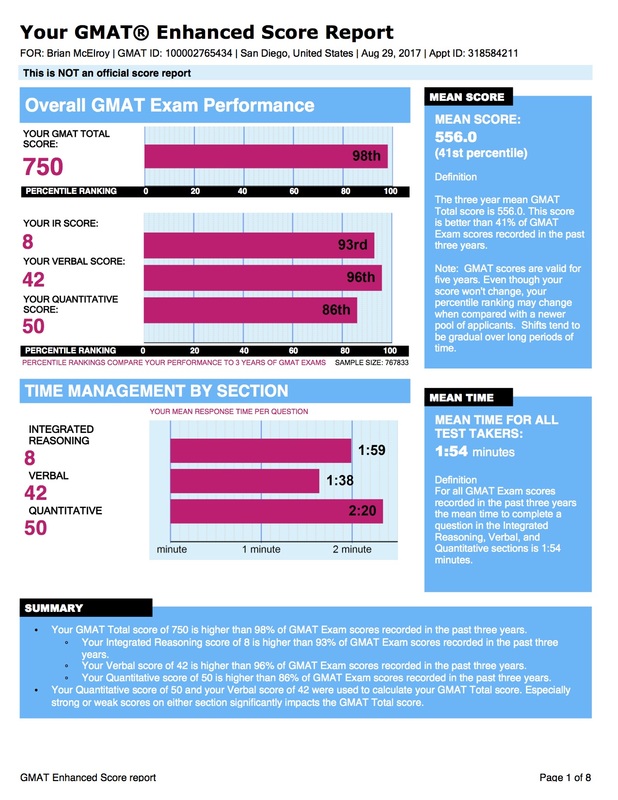 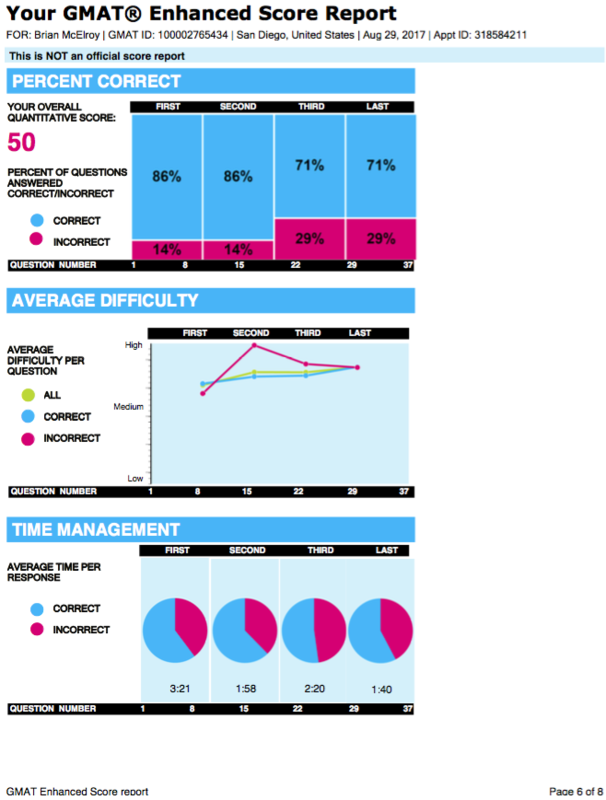 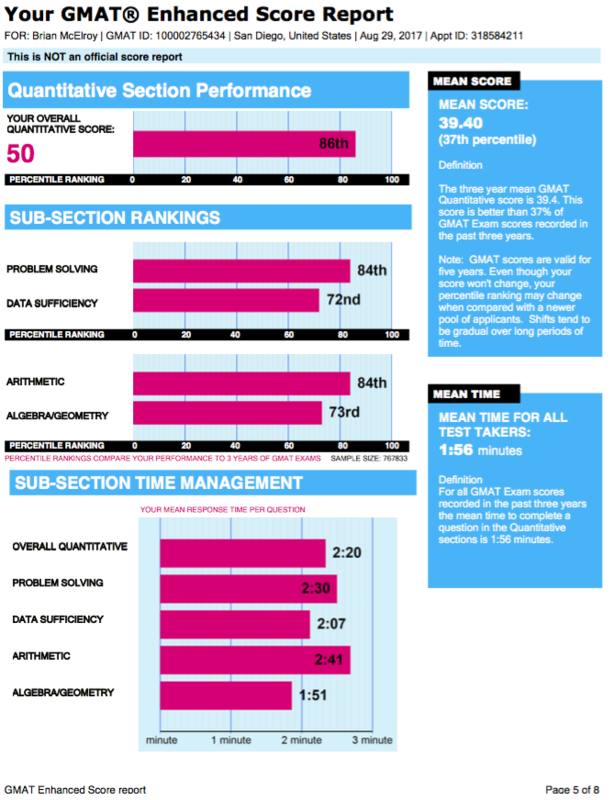 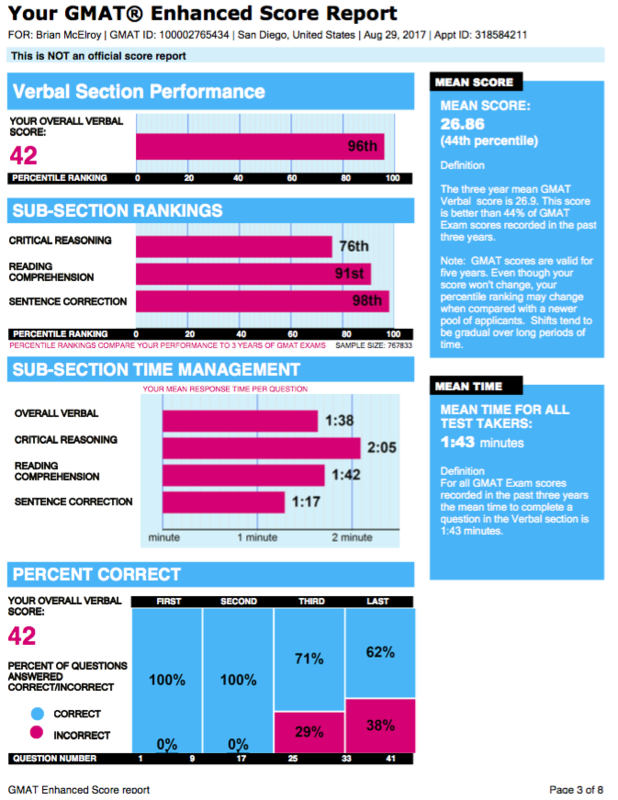 For more information, check out my "GMAT Tutor Debrief" on GMAT Club.